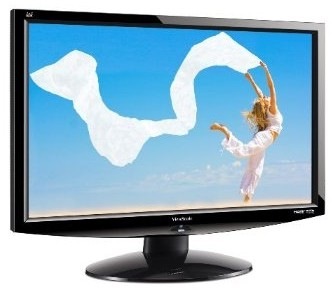 Dell Small Business website has another awesome deal on 24” Viewsonic VX2433wm LCD Monitors. They have a buy 2 get 1 free offer. Just add 3 in the cart to see this price. Viewsonic monitors are reputable and these specs are not too shabby. In fact, it is pretty much everything what I would look for. Integrated speakers is definitely a bonus. Amazon has the ViewSonic VX2433wm LCD Monitor for $199.99. Wow. I never thought that Viewsonic LCD monitor could be this affordable. The price is pretty low for a 24 inch monitor. I’ll definitely get one of this.